Our thickest balsamic. Intense, delicate flavor with subtle vinegar and wood overtones. Tastes sweet on the palate; a balanced sensation with a long finish and slight echoes of dark chocolate. 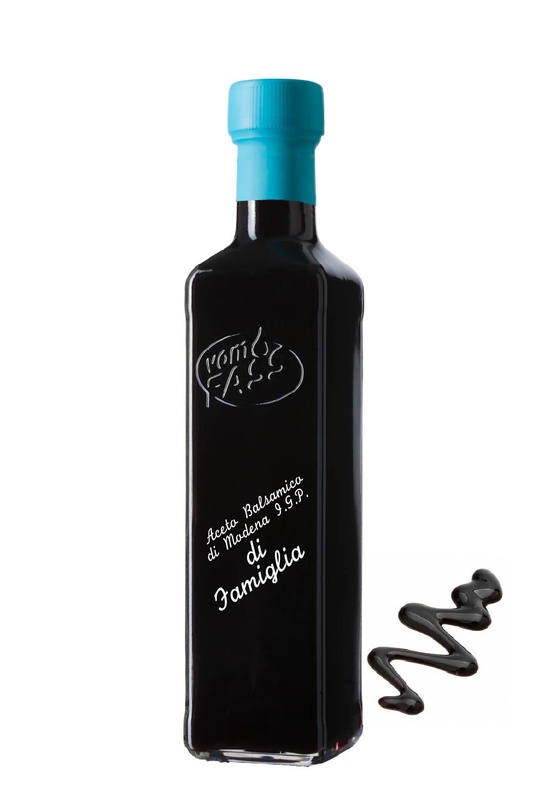 This highly concentrated balsamic vinegar is produced from selected grape musts and wine vinegars from the region Emilia Romagna. A truly exceptional Aceto Balsamico with a superb velvety texture and density of aroma. Ideal for use in desserts, for drizzling over carpaccio and for flavoring cheese or ice cream. Also great over any pasta, risotto, pizza, meats, fruits or vegetables.